Hey friends, happy Friday! Hope you had a wonderful week and you’re ready for the weekend! 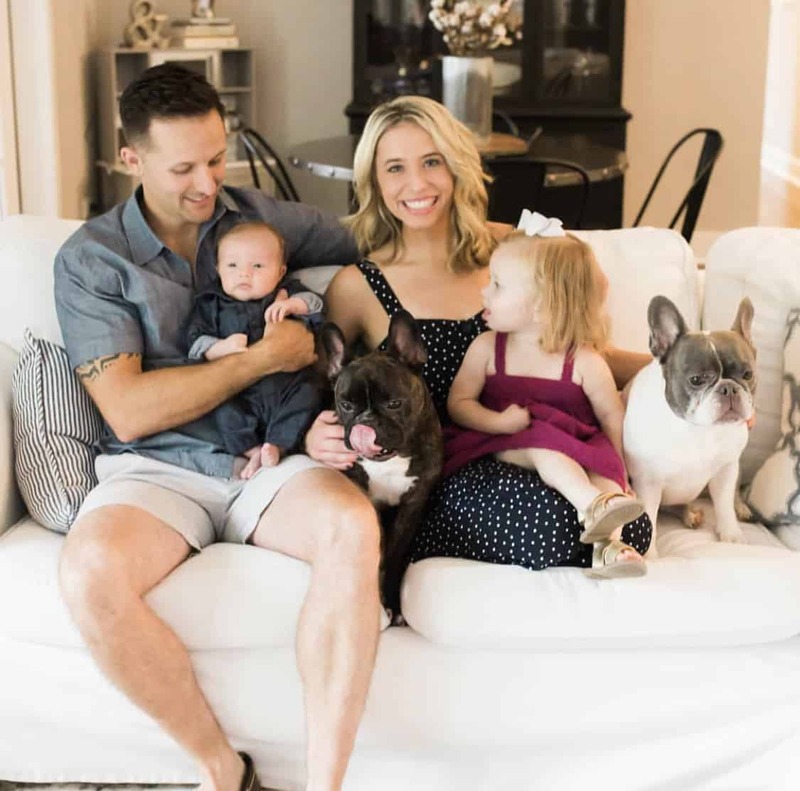 I’m not sure what we have planned around here, but I’m looking forward to some extra sleep and spending some time with our animals. Have you guys ever heard of escape artist goats? 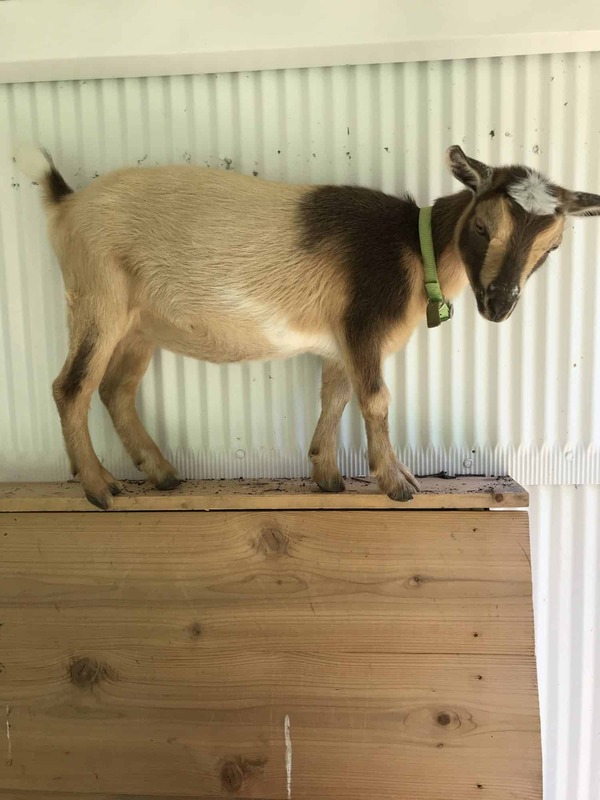 When we decided to add goats to the farm, we quickly learned that goats tend to get themselves into trouble. Between getting their heads caught in fences (which is one of the reasons we had our goats debudded/removed their horns) and escaping, we knew that we would have our hands full. Our “goat proofing” efforts unfortunately failed and Penny almost jumped the fence this week! 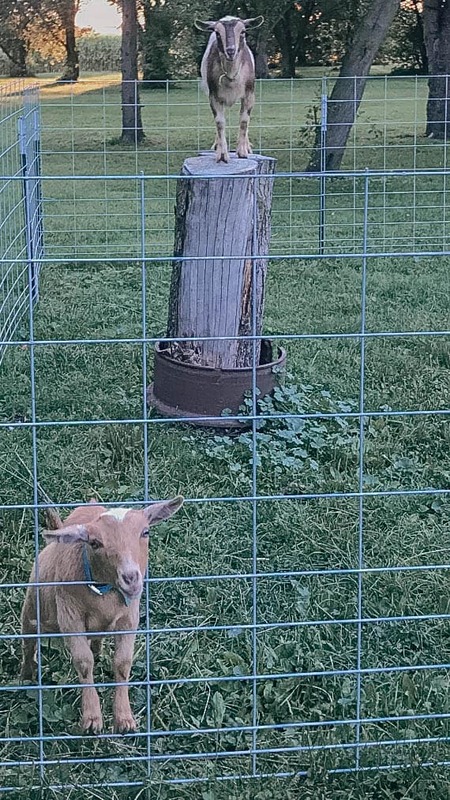 I really hope we don’t have escape artist goats on the backyard farm! Penny and Lucy couldn’t be more different from each other. 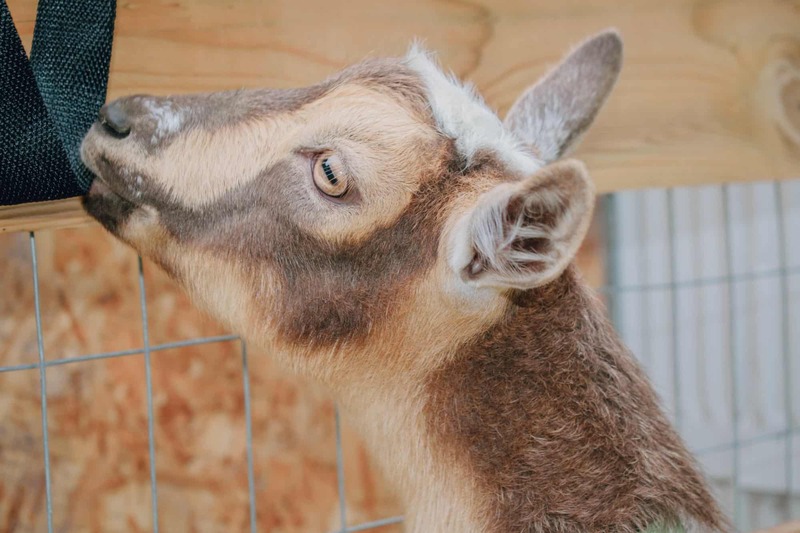 Penny is our sassy goat that constantly keeps us on our toes, while Lucy is our sweet and timid goat. 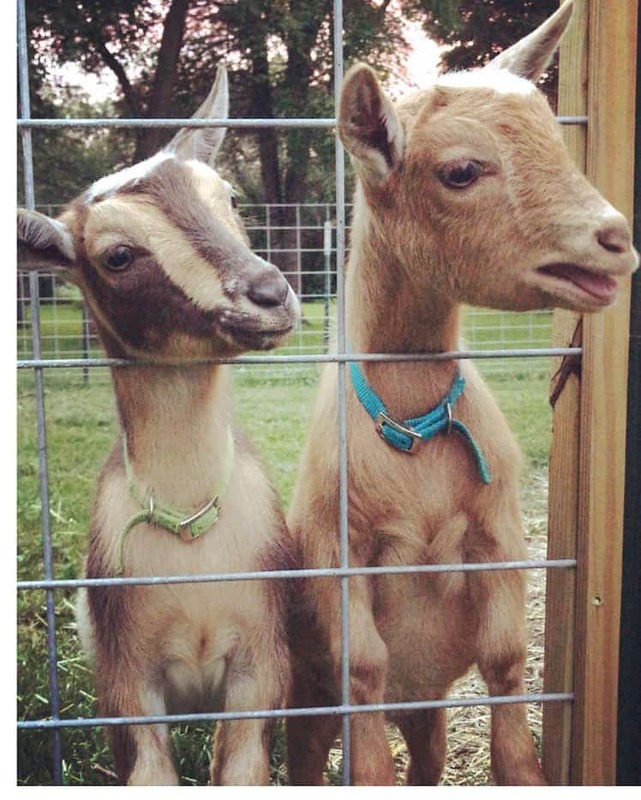 When we purchased Penny and Lucy, we spent a lot of time planning the goat house and fencing. We use cattle fencing for the goat area, but we also have a an electric fence to surround the goat and chicken area. We move the electric fencing around frequently to rotate where the chickens can roam. Well, lately we’ve been letting the chickens free-range the farm, so we moved the electric fence to block the chickens from the neighbor’s yard. Since moving the electric fence, the cattle fence was the only barrier for the goats. Needless to say, that was a major mistake. We have a large tree stump in the goat area that desperately needs to be removed. 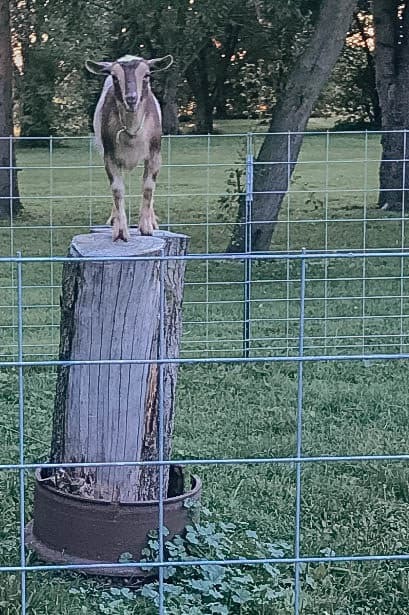 I always worried that the goats would jump on the stump (and over the fence), but seeing as they were babies, they were too little to jump that high. Plus, both Penny and Lucy have always ignored the stump for the most part. Seeing as Penny is our trouble maker goat, I’ve been anxiously waiting for her to jump on the stoop. You guys, I almost had a heart attack! I think it goes without saying that Ben needs to remove the stump this weekend. And loves to stick her head through the fence. But let’s be honest, Lucy loves to do that too. Oh well, these girls are the sweetest and make my heart so happy. As if I needed another reason to worry about the goats (and chickens!) I saw a coyote Wednesday morning on the farm. The coyote immediately ran away when I went outside to put the goats back in the goat shed, but I’m seriously not cut out for this part of farming. We live in the Chicago suburbs, so coyotes obviously roam around the farm. With that being said, I’m seriously starting to worry about how bold they’re becoming. I’ve come to terms with coyotes in the evening hours, but now they’re coming around in the morning too?! AHHHH. 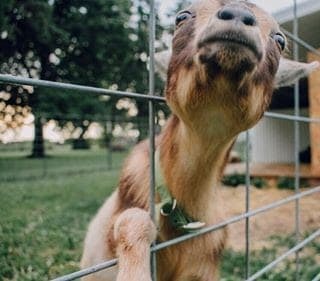 If you have goats, have they tried escaping? What has been helpful for you?! Have a great weekend and I’ll see ya on Instagram stories over the weekend! Previous Article Previous post: Farm fresh eggs, anyone? Next Article Next post: Spucing up the coop – DIY chicken coop is finished! Our goats would get out all the time. It can be so frustrating but also you just have to laugh at them! Fence, fence and more fence. We put up hog panel and then chicken wire around that so they couldn’t get their heads through it. As far as jumping – you just have to remove and block all obsticals but you won’t even know where they are until the goats find it! Around us (Iowa) the coyote pups are just getting big/old enough to start going out hunting with their mom and dad and we see them in the morning doing this (I think the pups stay home at night). We have a great pyranese that keeps the coyotes away when they get too close. You always have the best suggestions, thank you so much! I’m trying to convince my husband to get a great pyranese in the future, I keep hearing such great things!